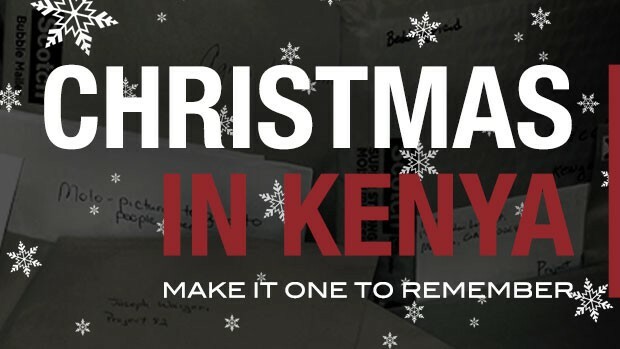 IT’S GIVING TUESDAY, HELP US MAKE THIS CHRISTMAS IN KENYA ONE TO REMEMBER. Many children, by the grace of God are alive, have hope and are thriving today because of the generosity and help of many, including many of you. We are profoundly grateful and thank you for your financial help and prayers! Would you consider helping us raise $15,000 for our Christmas project by going to this link – https://www.indiegogo.com/projects/christmas-in-kenya. We pray you will consider making a donation and share this link on Instagram, Twitter, Facebook, email, etc. All donations will be “matched” and 100% will go to the children’s direct benefit. Also, if you feel so compelled, we have a separate year end match fund campaign up to $50,000 and you can find all of the info here http://wp.me/p4Kez9-1or. This year, a few donors have established a Matching Gift Fund. For every dollar donated, the Matching Gift Fund will donate the same amount, thus doubling your donation. Our Matching Gift Fund goal is $50,000. Your donations will have a multiplying effect on our ministry and God’s Kingdom. Kenya is home to more than 40 tribes. Each tribe has unique wedding ceremony traditions and marriage practices. Although some elements of the traditional practices related to marriage have been challenged, traditional weddings remain an important piece of African culture and will continue to be passed down for generations to come. The dowry (bride-price) is a tradition that involves several visits to the bride’s family. Payment of bride-price is an age-old tradition in African societies that is used to demonstrate the groom’s worthiness as a suitor, and indicate that he is capable of adequately providing for his bride. Different the tribes in Kenya have unique customs. Among the Kikuyu for example, grooms used to pay a dowry with cows, goats, honey, green bananas, traditional brews, etc., although, modern-day Kikuyus pay the dowry in cash. The groom and his family pay all the expenses related to the dowry and the dowry itself. 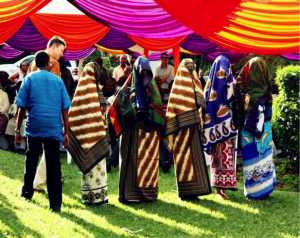 Among the Kikuyu, the first visit by the groom’s family is an official visit called kumenya mucii. This is followed by another visit called kuhanda ithigi, the day on which the groom declares his intentions. Traditionally, these were done on different dates but now they are combined to save time. To signify these two are different visits, the groom’s family briefly leaves the bride’s family after the kumenya mucii and comes back for the kuhanda ithigi. At kuhanda ithegi, the groom is expected to give a token to the girl’s parents, usually monetary, which implies ‘booking’ her, so that no other suitor can place a claim on her. During the kuhanda ithigi, both families select representatives who meet to discuss the bride price. The bride’s family has a lot of influence on how long this process takes, and depending on the family, the negotiations may take months. A bride is advised to talk to her family prior to this day and put in a good word for the groom. It is more difficult if the marriage is inter-cultural since there is a language barrier and stereotypes that can hinder objective discussion. Assuming all goes well, everyone leaves happy, looking forward to the day they will come back with the dowry called ruracio. On the day of the dowry payment, friends and family gather to witness. An important note is that it is not offensive if one attends an event even if they were not invited. Kenyans believe the more the merrier. The groom pays for all the expenses related to this event. All gather at the bride’s parents’ home. There is no universal way of conducting this; it mainly depends on the families involved. The groom is put to test by having several female friends and relatives, with similar build and height of the girl he wishes to marry, go inside the main house in the homestead, cover themselves from head to toe with traditional shawls called lessos, and emerge for the groom to select his bride. If he fails to pick the right woman, he is fined. After successful dowry payment, the man is allowed to keep the girl as his wife from that day forward. This is called a custom marriage. Custom marriages are not recognized as legal in Kenya, and therefore, most Christian couples plan a church wedding after the dowry has been paid. Happy note: Project 82 employee Ellie is currently planning her August 2014 wedding. See it here! We are currently looking for sponsors for the children in our program. 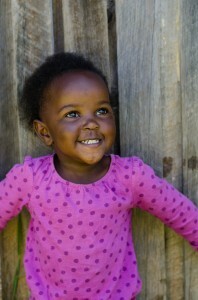 Find out more about Child Sponsorship. We began working on a note to send out to our sponsors asking for letters for your children. We mentioned this to Mike Pennington who traveled to Kenya in July and he responded with this letter below. 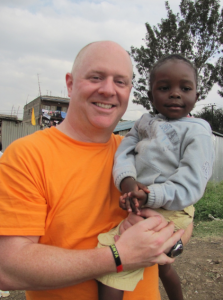 Mike expresses the impact of letters on the children in an incredibly moving and loving way. We hope you respond to Mike’s challenge to write your child. Thank you as always for your continued love, support and prayers. 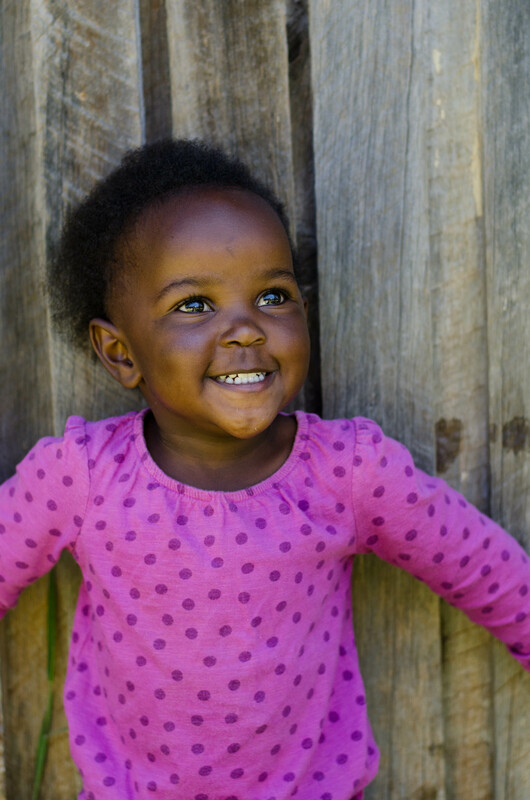 Thanks to the continued outpouring of support from families like yours, there are over 200 children in Kenya who now have a place to sleep, access to education, clothes, shoes, food … all of the basic necessities that we sometimes take for granted. Having recently returned from a trip to visit our Kenyan family, I can tell you first-hand that the other gifts you continue to give them are hope and love. There are genuine smiles on their faces when they see us coming – not smiles based on receiving handouts, but smiles of pure joy. It is difficult to describe the powerful experiences we had with the people we encountered in Kenya. They have virtually no possessions or assets, and yet they show a very real and pure joy when they worship the Lord. They see groups like us dedicate a tremendous amount of time and resources just to come and spend some time with them … four, sometimes five times per year. Two of my highlights from the time spent in Molo were the worship on Sunday and the distribution of letters from sponsor families back home on Saturday. We began with an electric and vibrant worship service that lasted nearly three hours. They are excited to have the chance to come together and praise His name … to dance, sing, pray, praise and worship. It was a truly breathtaking experience. As for the letters and packages, this is a moment that I will never forget and will truly cherish for the rest of my days on this earth. Scores of children from birth through teenage years were playing, laughing, dancing, creating arts & crafts – they were just being kids. They were loud and they were active; it was an intoxicating environment. However, it was announced that the time had come to receive letters from the sponsor families in the United States. These kids went from loud, playful, joyful to giddy, nervous and anxious with anticipation. They quickly took seats and waited to hear their name called. With each name called, there was no disappointment that the next package didn’t belong to them – they were happy that a friend of theirs was the lucky recipient. One by one, each name was called and every child there received a letter or package. They shared their letters with each other; they showed the gifts they had received; they wanted to have their pictures taken with the packages. This moment was what my children look like on Christmas morning! I was especially fortunate to be able to hand-deliver the package my wife and I had created for our sponsored child, Patrick. Patrick couldn’t stop grinning and saying thank you. He went so far as to take MY picture holding HIS letter! There was a very special bond formed there, where I could tell he knew that we loved him and would do what we could to take care of him. I cannot wait to write him another letter and fill that envelope with more goodies! Now I get to imagine the look on his face when he gets the next envelope. THIS is where you come in. Quite often, our busy lives can make it difficult to take the time to write letters to our children. I will admit that I have had this happen to me before. Now that I KNOW the excitement and joy those letters and packages create, I will never, NEVER miss that opportunity again. That is exactly what it is – it is an opportunity to put a smile on your child’s face! Thankfully for the children of Molo, Project 82 staff and other volunteers spend countless hours writing letters to children before each trip. They do this for those children who will not be receiving anything from their sponsor families. The children are delighted to receive letters, but I can attest to the fact that they crave the relationship. They want YOU to commit to writing them a letter. You can even include some fun items in the envelope … stickers, crayons, etc – they love it all! I have a vision and a goal: each and every sponsor family will commit to write a letter to their sponsored child for each time that Project 82 takes letters to Kenya. This is 2-3 letters per year! You can go further by adding treats to the envelopes as well, if you feel so led. But, please take a moment to consider the tremendous joy YOU can give your sponsored child, just by writing a simple letter. Will you make that pledge with me? Five minutes of your time can provide immeasurable joy to someone 8,000 miles away.